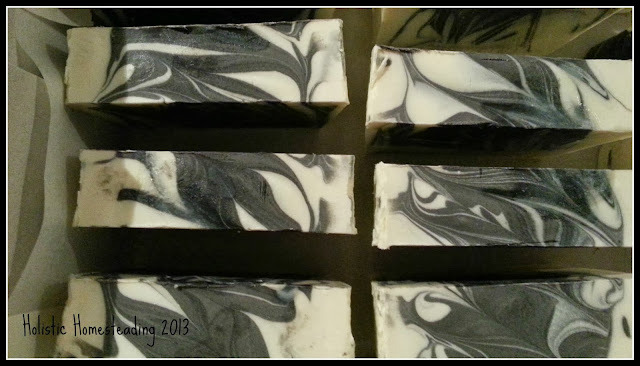 We unmoulded our cool black and white soap. I couldn't wait to cut it and have a look at the cool swirls we had made. The swirls were cool, hold on, back-up, what is that? Yes, that! - Those little dots of powder! Oh my, I know what it is! 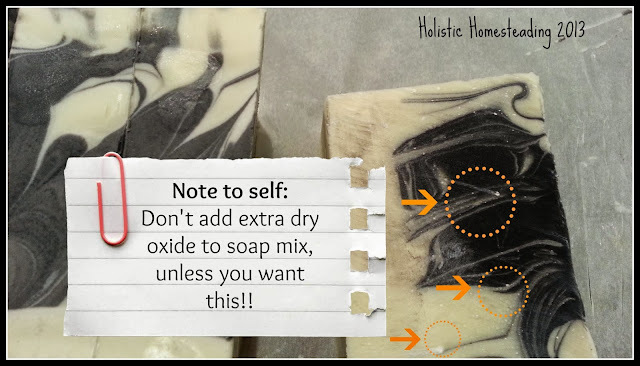 Once we added our diluted oxide in its' oil we just weren't happy that the soap was quite white enough, so we thought we would just sprinkle some more on top of the soap and mix thoroughly. It doesn't work that way apparently!! Watch this space for the new batch! P.S. 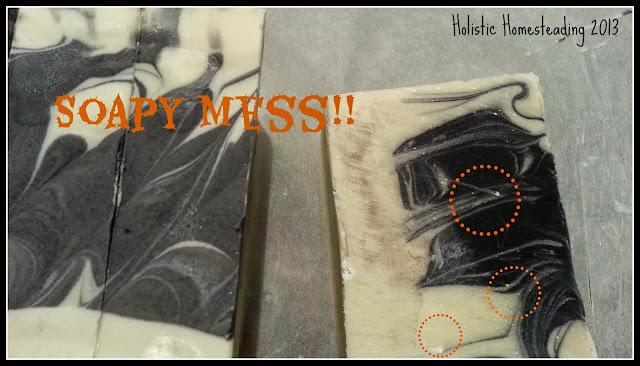 I am so excited, I got my first order for 40 bars of soap on Wednesday, how great is that? They look fantastic, what scent are they?